We’ve heard from several grandparents and parents that they want to teach their children about the world. They want their children to have empathy for people with less than they have and understand how privileged they are. Sponsoring a student is the perfect opportunity as it is grounded in the relationship that can grow between the sponsor and student. 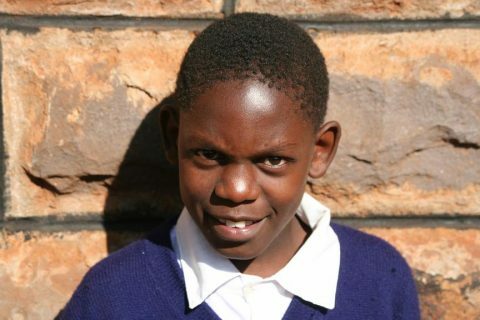 Some of our sponsors have started sponsoring a child with the intention of their own child or grandchild developing a relationship with the student in Kenya. Their child or grandchild learns that some people live in one-roomed homes with five other people. They have to walk to get their water and sometimes can’t afford to go to school. The Kenyan children learn about life in the U.S. – about winter and summer (a mystery to these children living near the equator with very little seasonal variations) and birthday celebrations. It is a long-term, meaningful learning opportunity. Importantly, it’s rooted in relationship for both children. Christa and Travis have known about Friends of Ngong Road since nearly the beginning of the organization. Travis’s mother is a friend of Friends of Ngong Road Founder, Paula Meyer, and was one of the first sponsors. When Christa and Travis’ daughters, Taylor, Mason and Chloe, were able to draw pictures they decided to sponsor two students and chose Griffin and Sarah. Their daughters kept the pictures they received from Griffin and Sarah near their bed and prayed for them at night. Four years have passed, and the pictures have turned into less frequent letters as all the children are growing up. But the Rymal girls know more about their global community now and have a connection across the world. They’ve learned that their family values include education and giving all children a chance. Griffin and Sarah in Kenya know that they matter, and they are getting an education. 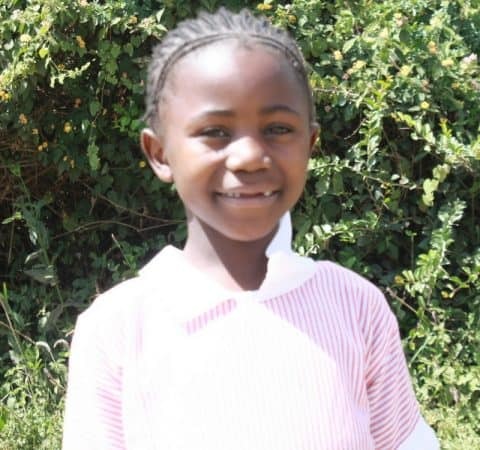 Mary attended an event sponsored by Friends of Ngong Road and she was so impressed by the presentation that she started sponsoring and then corresponding with Vivian, a 14-year-old student. An educator by profession, Mary recognized that sponsorship would be a great opportunity to teach her three young grandsons from Pittsburgh the importance of learning about young children in other parts of the world and the good feeling you get when helping those who are less fortunate than you. Mary and her grandsons started sponsoring Isaiah in 2017. Isaiah, who is now 13-years-old, and the grandsons have corresponded a few times and are learning about one another. She brought some handicrafts she had purchased at the Friends of Ngong Road event to her grandsons to explain more about Isaiah’s life and family. The boys are growing up and everyone’s’ schedules are getting busier, but Mary is hopeful they will have an increased sense of empathy and compassion with Isaiah in their lives. Do you have a special child in your life who could write with a student in Kenya? Take a look at the students who are waiting for sponsorship. 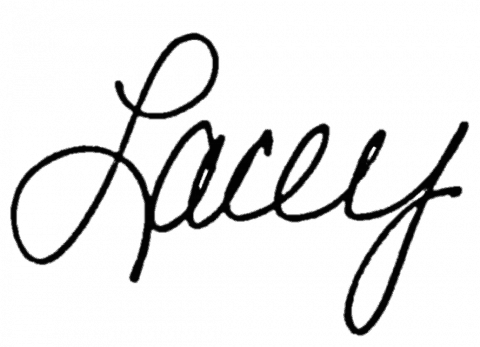 If you want more information about any of the students or have any questions, contact Lacey Kraft at lacey@ngongroad.org. So many times after we got married I had heard, “Make sure you have a will.” It became suddenly important to me when our daughter was born last June. My husband and I made it a priority and wrote our first will. It came with good discussion. What matters to us? What will we leave for our children? We want our daughter and future children to be safe and supported. But we also highly value the common good of humanity and education for all. We want that to be evident in our will and our children to know it’s important to our family. The decision to include Friends of Ngong Road in our will was an easy one. We, of course, hope the will won’t be needed for many years, but right now it is a testament to ourselves and our children about what we value and the type of world we want to leave. Consider adding Friends of Ngong Road in your will or make the organization a beneficiary of your IRA. Your tax or estate advisor can help you with these and other ways of making a difference for students in Kenya that are right for you. For example, if you are over 70 ½, the Qualified Charitable Distribution (QCD) provision may allow you to distribute funds in a tax-advantaged way from your individual retirement account (IRA) to Friends of Ngong Road as a qualifying charity. Whatever way you choose to give, thank you for your partnership in transforming lives through education to employment. Karibu Loo has had some ups and down this quarter. At long last, our container has arrived with 17 new cabins and a new exhauster! That means we no longer have to do any manual servicing of the loos. Unfortunately, we have lost (hopefully temporarily) our biggest client, the British Army. We are endeavoring to get it back and even expand our sales by securing another section of the British Army currently serviced by a competitor. Meanwhile, our social media campaigns have been successful in attracting short term event business and we have engaged a social media marketing firm in Nairobi to expand these efforts. 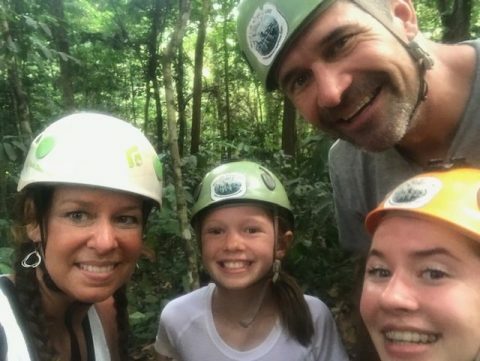 When Christa and Travis’s two youngest daughters were able to draw pictures, they decided to sponsor two students and chose Griffin and Sarah. Their daughters kept the pictures they received from Griffin and Sarah near their bed and prayed for them at night. Four years have passed, and the pictures have turned into less frequent letters as all four children are growing up. But the Rymal girls know more about their global community now and have a connection across the world. They’ve learned that their family values include education and giving all children a chance. Griffin and Sarah in Kenya know that they matter, and they are getting an education. Mary attended an event sponsored by Friends of Ngong Road where crafts made by mothers and aunts of students were sold. She was impressed by the presentation and started sponsoring and corresponding with Vivian, a 14-year-old student. An educator by profession, Mary recognized that sponsorship would be a great opportunity to teach her three young grandsons from Pittsburgh the importance of learning about young children in other parts of the world and the good feeling you get when helping those who are less fortunate than you. Mary and her grandsons started sponsoring Isaiah in 2017. Isiah, who is now 13-years-old, have corresponded a few times and are still learning about one another. She brought some of the handicrafts to her grandsons to explain more about Isaiah’s life and family. The boys are growing up and everyone’s’ schedules are getting busier. But, Mary is hopeful they will have an increased sense of empathy and compassion with Isaiah in their life. Norman Kamau joined the program in 2008 when Katy Egan-Benck and Ed Benck started sponsoring him. He was a very shy boy who was dealing with the recent passing of his father as a result of AIDS. He lived in a small two-bedroom house with his mother, who works as a seamstress, and his two brothers. They do not have water in the house, so it had to be purchased elsewhere and carried in. Norman’s brothers were 15 and 18 when he joined our program, so the family was very excited for him to get a quality education starting at a young age. Norman graduated from Muguga Boy’s High School in 2016 where he only accomplished a D+ on his senior year exams, despite being a bright student. He decided to pursue his dream of becoming a tour guide and enrolled at the Kenya Wildlife Service Training Institute for his post-secondary studies where he studied Nature Interpretation & Tour Administration. He successfully completed his one year course, and is now waiting for formal graduation later this year. 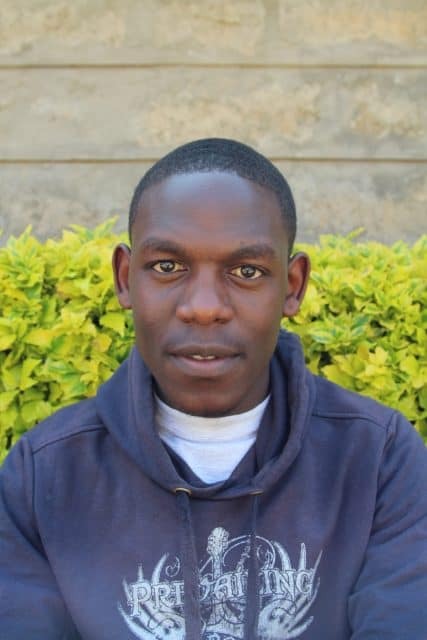 In the meantime, he has been working as a Marketing and Administrative Assistant at Karibu Loo where he has been able to gain valuable work experience and job training. He has proven himself to be a dedicated employee, and has even brought in some of his own sales! With his new diploma, job experience, and skills learned through our programming, Norman has not only transformed his own life, but will continue to improve the lives of his family members and community. His story is just one example of how education and support from a loving network of adults (such as sponsors, guardians, and caseworkers) can make a difference.